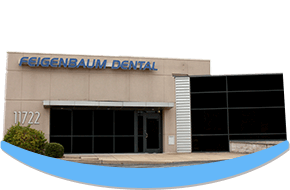 Patients these days want modern, convenient cosmetic dental care, which is why we offer take-home teeth whitening at Feigenbaum Dental in Creve Coeur, MO. We offer both NiteWhite from Philips, which is designed to allow you to professionally whiten your smile while you sleep, and Colgate Optic White, the professional take-home teeth whitening option from this trusted name in oral healthcare. Both NiteWhite and Colgate Optic White rely on custom trays for effective and brilliant whitening results. What’s so great about NiteWhite teeth whitening? Made by the same company that makes Zoom! teeth whitening, NiteWhite uses a bleaching gel to lift stains from your smile, including those caused by coffee, red wine, tea, or other dark foods and beverages. You’ll visit our Creve Coeur dental office and be fit for custom NiteWhite teeth whitening trays, and once they’re created we’ll send you home with the trays and bleaching gel. Prior to placing the trays on your smile each night, thoroughly brush and floss to remove any food or debris from your mouth. Then you fill the custom trays with the NiteWhite bleach, making sure not to use too much. The trays fit snugly over your teeth, and you can remove any overflow of gel with a cotton swab. Make sure to wipe away excess bleaching gel in the opposite direction of the gums to prevent irritation. You then simply wear the trays overnight, removing them in the morning to brush and floss and go about your day as you always would. Repeat every night for about two weeks for maximum results. Another take-home teeth whitening option from Feigenbaum Dental in Creve Coeur, MO is Colgate Optic White. With Colgate Optic White, you can whiten your teeth in just 30 minutes a day for 3 days. The teeth whitening formula contains potassium nitrate and fluoride, strengthening your smile while you whiten, and you can choose from different percentages of hydrogen peroxide for the best results and most comfort. For fast, safe, and effective teeth whitening, trust customized Colgate Optic White professional teeth whitening from our Creve Coeur dental office.